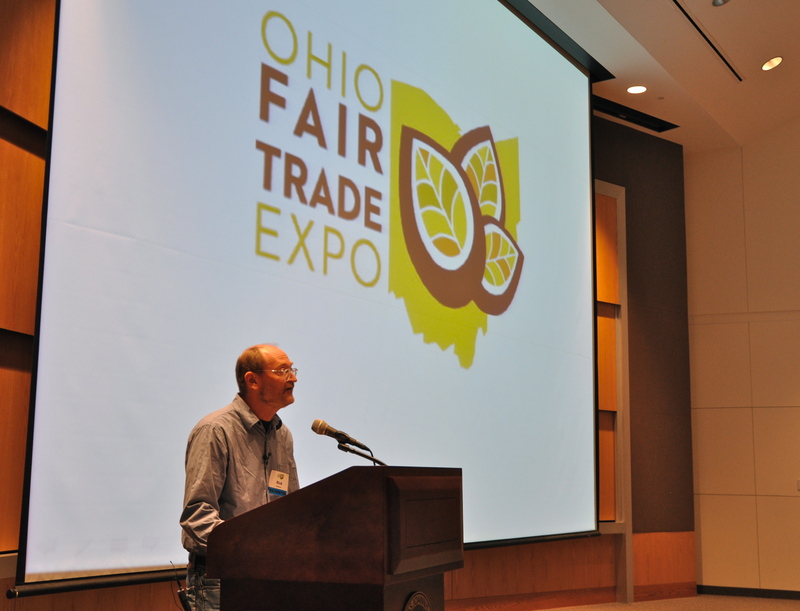 An Analysis of Fair Trade: Reflections from a Co-founder | Small Farmers. Big Change. The following is the first of three parts of a speech by Rink Dickinson, co-founder and co-president of Equal Exchange, given at a conference of the InterReligious Task Force on Central America, on October 22nd in Cleveland, Ohio about the current state of Fair Trade. I want to thank IRTF for the opportunity both for myself and for Equal Exchange to be sharing some of our thoughts on the current crisis in fair trade. For Equal Exchange the InterReligious Task Force on Central America is an extremely important ally. We share a common history with IRTF in terms of our roots and our inspirations. And both of us have been at this for quite some time showing up fighting for the right thing and most of the time fighting upstream. We applaud you for your work showing up month to month, year to year and now decade to decade. Your work is vital. We need citizen involvement to have any type of world that we will want to live in and pass on to future generations. We need this involvement for our politics and social development in the U.S., for politics and social development in Central America and we need this involvement to have any hope of a live real authentic fair trade movement that connects small producers in the south with consumer/citizens in the U.S. IRTF is a model of that type of involvement and one that needs to spread to other U.S. cities and communities. I want to cover several topics today. First, I want to share some of the root DNA that I believe was put into Equal Exchange from the beginning by Jonathan, Michael and me as founders because I believe that DNA has directly led to Equal Exchange having the success we have had and because I believe we can build more successful organizations and movements if we share our learning. Because we are moving rapidly towards a time where all kinds of products will claim to be fair trade due to the weakening and betrayal of fair trade, we as activists need to build our skills to understand how trade works and what we think real fair trade looks like. With this goal, I want to examine two supply chains: the amazingly successful small farmer coffee supply chain which activists, consumers, alternative traders, fair trade certifiers and commercial companies built over the last twenty five years and its cousin, the weak, poorly articulated, small farmer tea supply chain that Equal Exchange has also spent over a decade trying to build. By examining these supply chains and bearing in mind the ones we don’t have time for today such as chocolate and bananas I believe it will become more clear what authentic fair trade looks like. Finally, I will try to share some of our thinking about what we need to do next in this time when fair trade has been first weakened and then betrayed. Founders and Founding Principles – Equal Exchange was started by Jonathan Rosenthal, Michael Rozyne and me. The three of us were all working at a food coop warehouse from the early 80’s before Equal’s founding in 1986. Working together in that environment that functioned in the food system but was active in trying to change the food system fed our souls and gave us vital experience. We got to buy and sell produce, cheese, and grains. Because that warehouse was doing cutting edge work buying from farmers coops we learned how to trade like this. And we made all kinds of mistakes. Over ordering. Under ordering. Buying from farms that were too big for us, or from farms that were too small, or were poorly organized. We were direct marketing local products, often produce, to all kinds of consumers who were organized in pre-order/self organized clubs and cooperative storefronts We got to learn about marketing, customer service, co-op democracy,and building a movement while moving a product. Those lessons were grafted into the core operating DNA of Equal Exchange. The first strand of the DNA was to take risk and learn. And we knew to do that meant to experience ongoing failure. Everything about Equal Exchange was a risk by definition. Our starting product – Cafe Nica Nicaraguan coffee was from an embargoed country. Our entire concept was to sell fair trade coffee and food which in 1986 meant we were marketing a concept that simply didn’t exist. But beyond that we didn’t know how to raise money, how to incorporate, how to create financial statements or really how to launch Equal Exchange. But we did know how to support and challenge each other. We shared this work with each other and opened the door for others but tried to keep a high bar. We believed new members needed to be given authority to make decisions but only if that was earned through responsibly admitting failure, sharing failure, and hence creating genuine learning. In a very real way that learning was the product we were trying to create. That learning was also critical to try to hold together the other two key somewhat contradictory strands of core operating DNA. The second strand of the DNA was democracy. The co-op warehouse we worked at before Equal Exchange was collectively run by consensus by employees who were not owners of the co-op and had no governance control of the co-op. Instead, ownership (which was weak) and control were, in theory, held by consumers in the buying clubs and stores to whom we sold. Jonathan, Michael and I loved the democracy experimentation, at times loved consensus, and strongly objected to the employees being absent in ownership, governance and control. Instead of running from democracy and creating a private company, we ran towards democracy and created a worker co-op dedicated to the goal of supporting small farmers. It was a pretty crazy dream and I feel fortunate every day to get to do this work. It is not easy trying to even understand how to build a market-based organization that is democratic. We fail on a regular basis as we walk down this path. But we stay on that path. The third strand of the DNA was strong management. We believed that the only way we had a chance to succeed was to hustle, make decisions, screw up, and get back up and do it again. To do this, meant that management needed to be empowered and backed up. The seeming contradiction is to build democracy while building strong management. Holding these things together are people and the need for an outstanding hiring process and the need for a high degree of trust. That trust is still there at Equal Exchange today but not as a static easy guaranteed trust. It is earned and lost and re-earned everyday as we all go through the stresses and strains of supporting small farmers, increasing sales, taking care of customers, and wearing the multiple hats of owners, workers, and perhaps managers or board members as well. If you were to walk through the halls of Equal Exchange in Massachusetts you would keep hearing the term SUPPLY CHAIN. What is a supply chain and what does it have to do with our story of the development and betrayal of fair trade? Supply chains are networks that connect producers and consumers. So every product out there has a commodity chain or supply chain associated with it. These chains are kept invisible. In our advanced consumer society, products exist for consumers as consumers; they are not associated with the dirt, noise, trucks, boats, exploitation or the mindless repetition that created them. It is our job to understand how products are produced and to educate our fellow citizen consumers. Or better yet, to ask the questions that will allow all of us to better connect our consumer lives with our worker lives and with our citizen lives. Let’s start with coffee. How did fair trade in coffee happen? How was this supply chain built? Who took the risk? Who benefited? What can we learn from this history? Your words have painted the picture of what we experienced in Nicaragua. May our hearts be broken with the things that break God’s heart. a Co-founder pe care l-am citit Ora Exacta pana acum!